Dan Martin's leadership philosophy encompasses building a collaborative leadership team, staying close to the customer, and acknowledging that failure can be as important to career development as success. From the start of his career, Dan Martin understood the power of information technology. "Whether it was IBM AS400s in the early 1980s, SAP in the 1990s and 2000s, and now the Internet of Things, staying ahead of technology and embracing the latest innovations has been critical," says Martin, president of IFCO North America, a global supplier of reusable plastic containers (RPCs) for fresh produce. Martin first joined the company in 2001. 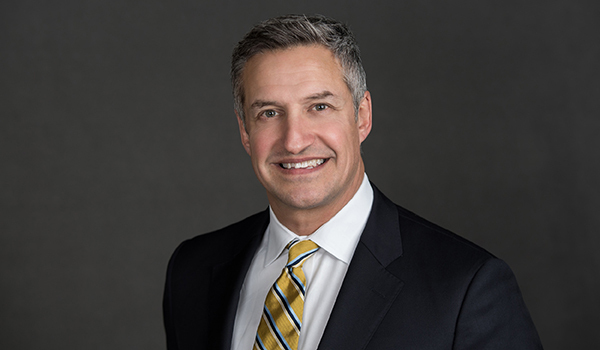 Before taking the helm of the North American business in 2018, he served as senior vice president of sales and customer operations at CHEP USA. We had a chance to talk with Martin about his career, his leadership philosophy, and his current agenda at IFCO. IL: If we were to follow you around at work for a week, what would we see? On a typical day, I'm running around from meeting to meeting, two or three minutes late for each one. I spend a lot of time balanced between executional activities—which every leader does—and activities aimed at developing our vision and strategy. I try not to firefight too much, but that's inevitable. I'm collaborative with my leadership team. For example, during my first 90 days here, we wanted to create a foundation for how we bring people into IFCO. That foundation started with our vision and values. We developed a value platform that we all embraced, and we all look to recruit people with the same values and visions. IL: Any other lessons you learned early on? Keep in touch with the voice of the customer and anchor your business model on honest feedback. IL: How do you get that feedback at IFCO North America? We have someone at the company whose first job each day is to assemble any customer complaints we received the day before and send them to my leadership team. That's in my inbox at 7 a.m. It's a great way to start the day, grounding us with the concerns of our customers. We also get feedback through our MyIFCO platform and our website, but a lot of it comes from phone calls. Our customer service reps log the information, and we capture it in Salesforce. We also get tremendous feedback through visits to our customers' sites. Finally, we conduct a biannual Net Promoter Survey, which is an imperative part of how we build our customer service strategy. IL: What changes have you seen at IFCO since you joined? The biggest, most visible, and very public changes have involved increased concerns about food safety and the innovations that we've created around that. For example, IFCO has developed SmartCycle and SmartGuardian, systems that help us maintain the proper controls and stay one step ahead of industry requirements and our customers' sanitation needs. IL: How have mentors influenced you? My first mentor was my father, who worked in the consumer packaged goods industry for 40 years. What made him successful was an incredible ability to listen, read people, and follow his emotional intelligence. Among my other mentors, I'm especially grateful to a couple of leaders who allowed me to fail in a safe environment. One way you grow is to experiment, trying to develop through your successes, but also through failures. Many risk-averse leaders miss this as a key developmental area. IL: Describe a failure that taught you an important lesson. Early in my career, I took some wrong turns as a leader. I listened less and commanded more, and I probably wasn't as compassionate a leader as I am now. You just learn that over time, by failing and losing good people because you weren't able to appreciate the value they brought to the workplace. IL: What's at the top of your agenda at IFCO these days? We're investing in automation, much of it due to the shrinking blue-collar workforce in North America. We're running trials on equipment we co-invented for sorting our product by size as it comes into our building. We're automating our infeed line, where our crates are flipped, sorted, and counted as they come in, as well as our outfeed lines and stacking area. We're also doing a lot of work on digital applications for tracking assets. IL: What's one characteristic every leader should possess? In the days of the Industrial Revolution, leadership was about managing mass workforces from the top down. With today's workforce, leadership requires a strong EQ (emotional quotient). We deal with a lot more white-collar workers than blue-collar, and with a lot more millennials. You have to be plugged into their needs. To attract talented employees, you need to be flexible, striking a balance between their day-to-day work and projects that allow them to innovate. IL: What are your biggest recruiting and talent challenges? Finding the right balance of characteristics. We look for people who have experience, who are flexible and willing to change, and who fit well with our company culture. Our talent management process starts with creating an individual development plan for each employee, and then helping people not only to improve what they do on the job, but also to improve personally. IL: What's most fun about your job? Customer engagement. Even when it involves problem solving, the challenges and issues we face and the collaboration and spirit of partnership that we can create with customers is so rewarding. I also enjoy seeing our product in action, out with our customers, because I know the inherent value RPCs bring to the supply chain. I enjoy spending every bit of my time outside work with my family, which includes my three semi-adult kids. I'm also an avid runner, which helps to keep me balanced. Many years ago, when Dan Martin was in charge of Los Angeles-area operations for a truck rental company, he received a strange request. "I got a call to eradicate a 22-foot python in the cab of a straight truck," he says. The truck got towed in, and Martin went to work—not wrangling the snake himself, but finding someone to do the job. "This was before the days of the internet, so I took out my Yellow Pages and started looking for a pest disposal company," he says. "The first two I called didn't want to touch a python, but I finally found someone who would." Apparently, a customer, on returning the truck, had left a pet behind, Martin says, "and that became my fun for the day."